The RCMP is investigating after 400 bricks of cocaine were found stuffed inside duffel bags on a container ship in Halifax. 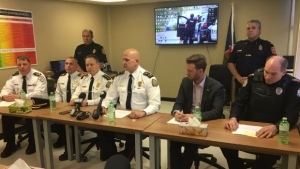 The Canada Border Services Agency says the drugs were found last Wednesday during a search of a container that arrived at the Port of Halifax from Argentina. The agency says the shipping documents purported the container to be carrying more than 1,200 cases of alcohol, but an X-ray showed something different. 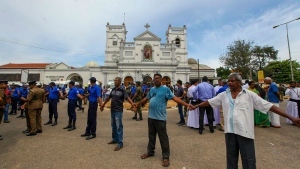 Officers discovered eight duffel bags containing what appeared to be more than 450 kilograms of cocaine, alongside more than 1,200 cases of red and white wine. 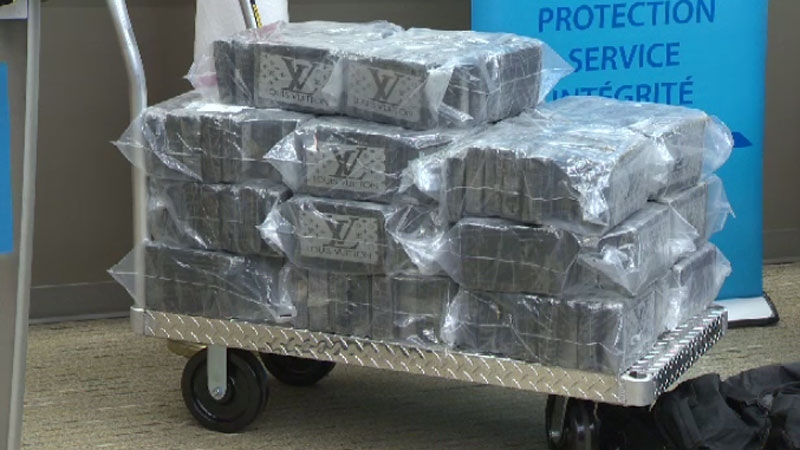 The bricks were wrapped in plastic with a Louis Vuitton logo. “Sometimes organized crime groups will mark their specific loads, per se, with packaging that’s very recognizable to that organization,” says RCMP Sgt. Keith MacKinnon. Police say the substance is believed to be pure cocaine, but lab tests continue to be conducted. “It has not been stepped on or adulterated by other substances yet and that would literally multiply its volume by a factor of four,” says MacKinnon. The RCMP wouldn’t comment on a possible street value, but say the drugs could have made up to 18 million one-gram doses. Police say some of the cocaine would likely have turned up on Maritime streets. According to the Canada Border Services Agency, it is believed to be the third largest cocaine seizure in Atlantic Canada. Police say the investigation is in the early stages and no arrests have been made at this time. This is the second major cocaine seizure at the Port of Halifax this year. More than 46 kilograms of the drug were found hidden in a commercial cargo shipment on May 2. The RCMP is investigating after 400 bricks of suspected cocaine were found stuffed inside duffle bags on a container ship in Halifax.